WES President Elect, Professor Linda Giudice, has been awarded the distinction of fellows by the American Association for the Advancement of Science (AAAS) for her scientific research in reproductive medicine, statistics, and stem cells. Professor Giudice is a biochemist, gynaecologist, and reproductive endocrinologist who specialises in endometriosis, implantation and ovulatory disorders, infertility, and assisted reproduction. She is President Elect of the ASRM; Vice President of the World Endometriosis Research Foundation; a leader in research on the environmental impacts on reproductive health and founder of the UCSF Program on Reproductive Health and the Environment (PRHE); and a former president of the Society for Gynaecologic Investigation (SGI). Professor Giudice has served on numerous NIH study sections, is the former Chair of the Reproductive Health Drugs Advisory Committee to the FDA, and chaired the NIH Reproductive Medicine Network and Specialised Cooperative Centers Programme in Reproduction and Infertility Research Steering Committees. She was elected to the Institute of Medicine of the National Academies in 2002 and is currently a member of the IOM Health Sciences Policy Board. In 2011, Professor Giudice was elected Co-Chair of the NICHD Director’s Reproduction Vision Workshop. In her research, Professor Giudice focuses on endometrial biology and placental-uterine interactions relevant to implantation and pregnancy disorders, environmental impacts on reproductive health (including endometriosis), and human embryonic and endometrial stem/progenitor cells. Professor Giudice is the recipient of numerous awards for her work including the 2008 SGI President’s Distinguished Scientist Award, the 2008 Women in Science Award from the American Medical Women’s Association, and the ASRM 2008 Distinguished Researcher Award. She was honoured as one of the NIH Great Teachers and the NIH Perinatology Branch Wall of Honour. She is also the recipient of the American Infertility Association “Illumination Award” for her work on the environment and reproductive health. 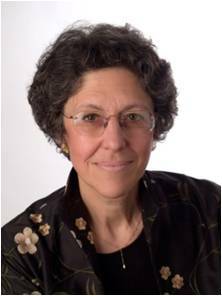 The AAAS fellowship recognises Professor Giudice’s distinguished contributions to the field of reproductive medicine and reproductive science, including endometrial biology, environmental impacts on reproductive health (including endometriosis), infertility, and human embryonic and endometrial biology. The award will be presented at the AAAS Annual Meeting on 18 February 2012 in Vancouver, Canada.